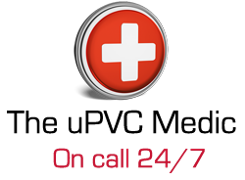 This is a family run business with over 40 years experience in property maintenance providing a friendly and professional first aid service for uPVC double glazed windows and doors. We have repaired uPVC windows and doors in hospitals, hotels and domestic properties; in fact, most buildings with a uPVC window or door. Tired of your basic everyday UPVC? Or wanting to stand out from the crowd? Keep your eyes peeled for our next exciting new venture for the Medics, more info coming soon! Repair your Double Glazed Windows and Doors, don’t replace them! Double glazed glass units don’t last forever. 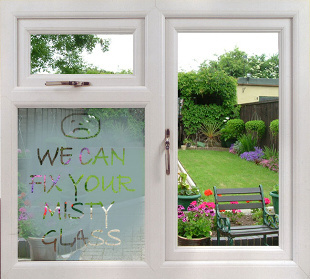 The most common problems are misty and cloudy units caused by a breakdown of the glass unit seal. This allows condensation to form between the two panes of glass.We can replace double glazed units at a fraction of the cost of buying new windows. We can perfectly match existing window glass or they can be upgraded to incorporate the latest energy saving advances, such as argon gas filled glass units with thermal spacer bars which reduces heat loss and in turn saves you money on your energy bills.